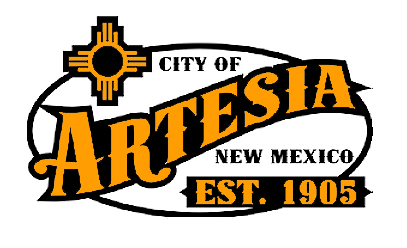 The Artesia City Council is urging residents to take their questions and concerns regarding the impending Hermosa Drive Reconstruction Project to the city’s first public meeting on the subject next week. The council received a preliminary update on the project Tuesday from Scott Hicks of Smith Engineering. Of primary significance is the fact Smith Engineering and the city have elected to delay the start of the project – which they originally intended to begin in the late fall – until after the holidays. “The way the timing was lining out, we were going to be just getting started with construction right about the time the holidays were kicking off, so we figured why not wait till the first of the year and let the holidays get out of the way,” said Hicks. Hicks said with that schedule change, bids on the project would now be reviewed in late September or October, with a bid award expected for November, and a project start date slated tentatively for late January 2019. The city has begun distributing flyers regarding the project and the upcoming town hall to residents and businesses in the area that will be affected – Hermosa Drive from 13th Street to 26th Street – and Mayor Raye Miller and the council encouraged residents to attend the public meeting, set for 5:30-6:30 p.m. Thursday, July 19, in Council Chambers at City Hall. The project will be divided into five phases, beginning at 13th and Hermosa and moving west, with each phase anticipated to last three to four months. Hicks said Smith Engineering and the city are also looking at possibly utilizing alleyways – as they did during the 13th Street Reconstruction Project – to help residents navigate the construction area. In other infrastructure business Tuesday, infrastructure director Byron Landfair updated the council on the traffic light scheduled to be constructed at the intersection of Hermosa Drive and First Street (U.S. 285). Landfair said the final paperwork is being completed, and while he was not yet able to provide an estimation of when the light will be installed, he said he would be able to better provide the council with that information once the project goes to bid. Councilor Raul Rodriguez asked about the traffic signal at 13th Street and Richey Avenue, which has been out – and being used as a four-way stop, as it was previously – for several weeks. Landfair said a new signal cabinet, which will replace one that was damaged, has arrived but will take time to program. He estimated the light could be repaired in the next few weeks. The infrastructure director also informed the council BNSF had scheduled a meeting with the city for next Thursday, at which the railroad crossings at Grand and Washington avenues would be discussed. Landfair said BNSF wants to eliminate both crossings, something the city is reluctant to do because of the emergency services access they provide. A public hearing was held Tuesday on a transfer of ownership of State Canopy Liquor License No. 1326, with on-premise consumption, held by Best Western Pecos Inn. Councilors Rodriguez and Terry Hill expressed reservations about the Pecos Inn lounge’s proximity to Harvest Fellowship Church, which has taken up residence in the building formerly occupied by Kmart, and ultimately dissented during voting on the action, which passed 6-2. Following the vote, the council was informed by Pecos Inn management that they had been assured by state officials that the lounge was more than the required 300 feet away from the church and that the liquor license was technically only changing hands. The second scheduled public hearing – concerning the sale of city property at 10th and Main streets to Starbucks – was postponed until the July 24 council meeting. In public safety, Police Chief Kirk Roberts told the council the department has seen a steady amount of auto burglaries due to vehicles left unlocked, and that police are also recovering a higher number of vehicles stolen in other jurisdictions. Councilor Luis Florez asked the chief about current drug activities in Artesia. Roberts said the department is seeing a shift from meth to heroin and fentanyl as the community’s problem drugs, and that New Mexico is also in a difficult position with marijuana. Due to Colorado’s legalization of the drug, the chief says cartels looking to get in on the action are obviously moving right through New Mexico to reach that state. Local police are also making an effort to increase their presence on patrol – particularly in areas like First Street – to crack down on speeding and other traffic violations. Fire Chief Kevin Hope informed the council the department was called to only four or five incidents related to illegal fireworks over the Fourth of July, none of which were major. In other business, Councilor Terry Hill suggested that city employees who attend classes, conferences or certification programs be occasionally asked in future to report on their experiences to the council. City Clerk Aubrey Hobson also reminded the council its next regularly-scheduled meeting will be held Tuesday, July 24, with the annual council retreat set for Friday, July 25. • the resignation of Richard Torrez, Street Department equipment operator, effective June 29. • the resignation of Brandon Hilley, wastewater assistant, effective June 27. • the resignation of Josh Whitmire, firefighter/EMT, effective July 1. • the advertising and filling of the positions of Street Department equipment operator, wastewater assistant, and firefighter. • two fire employees to attend the Fire Rescue International Conference in Dallas, Texas. • one fire employee to attend the SWAC/PRC/EMS for Children committee meetings in Albuquerque. • two police employees to attend homicide investigations training in Carlsbad. • two police employees to attend death and homicide investigations training in Rio Rancho. • one fire employee to attend an Instructor I course in Clovis. • one police employee to attend street crimes training in Las Cruces. • one fire employee to attend an Officer III-IV course in Lewisville, Texas. • one solid waste employee to attend the Solid Waste and Recycling Conference in Albuquerque. • one water employee to attend the Southeast Section Workshop in Roswell. • the approval of a resolution for Utility and Ambulance Bad Debts. • the approval of the annual Resolution and Agreement with the Southeastern New Mexico Economic Development District/COG.